-- 14 ct stick pack 12 oz. 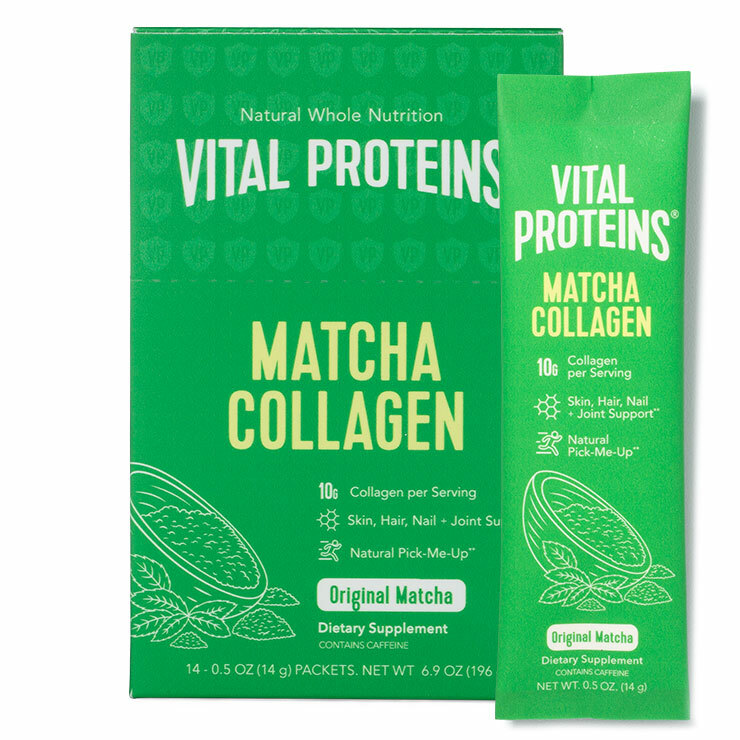 Vital Proteins Matcha Collagen – Original offers the benefits of collagen protein with an antioxidant boost. Collagen sourced from grass-fed, pasture-raised bovine combines with high-quality Japanese matcha green tea to improve the look of hair, skin, and nails, and impart a healthy, youthful appearance. Daily use increases the feeling of bone and joint health, and provides a sense of overall well-being. Easy to use, simply add the powder to your favorite beverage, like water, coconut milk, or smoothies. Perfect for paleo and Whole30 diets, this product is gluten-, dairy-, and sugar-free, and is easily dissolvable. 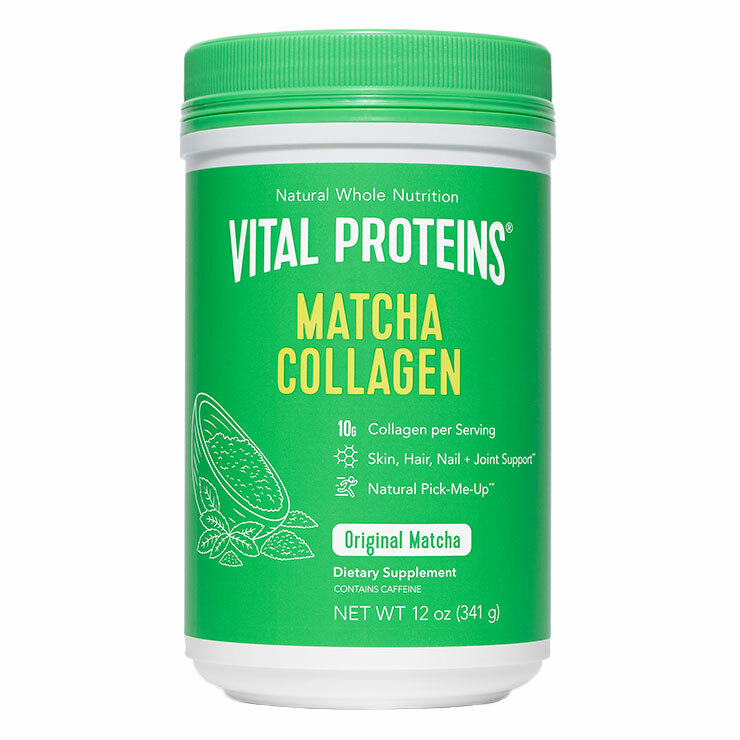 Add one to two scoops of Matcha Collagen - Original to cold and hot drinks, smoothies, hot cereals, or desserts. Use daily to beautify skin, hair, and nails, and support a feeling of overall health and well-being.